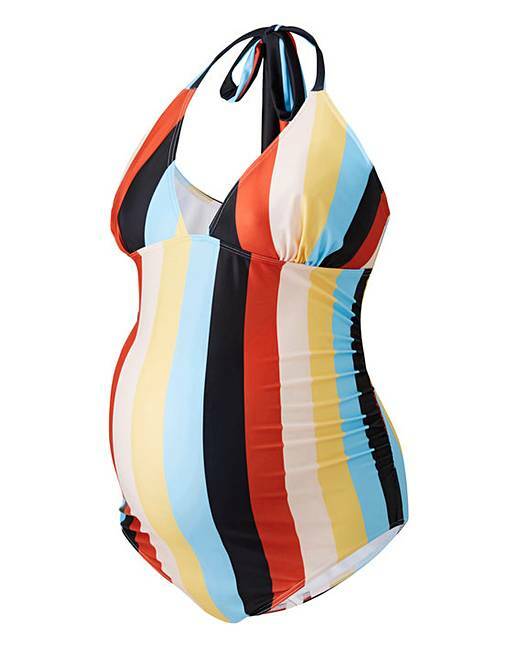 Show off your fabulous baby bump in style in this one-piece swimsuit which is designed to fit comfortably throughout your pregnancy. 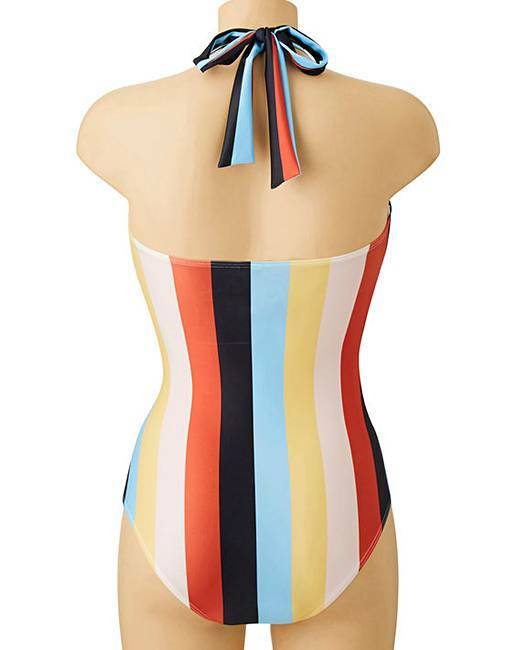 Featuring flattering side ruching, this style offers V-neck halterneck tie detailing and a stripe print to ensure you look poolside chic throughout your pregnancy. 89% Polyester, 11% Elastane. Lining: Polyester.